No matter where you live in the country, giant pumpkins love water and providing and providing them with a good supply is important, especially if you want to get a really big pumpkin. The perfect condition is to have a nice moist soil, if it is too wet it can take oxygen away from the soil, and dilute any fertilisers or nutrients present in the soil. Dry soil can help your giant pumpkin plant broaden and deepen its roots, but only a little bit. For people wanting to get the most size out of their pumpkin watering is a must, especially when the pumpkin is putting on so much weight every day. 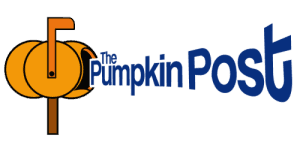 In a perfect world, all giant pumpkins would be grown in an area where the water table is near the surface, or where the plant is growing next to a creek, the root system has a good source of water, and the pumpkin grows really well. For the rest of us, watering is the key. 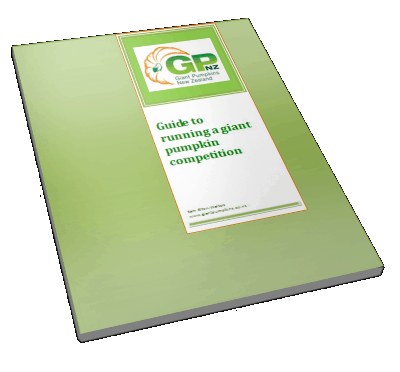 Everyone should have one of these, if you don’t and you are wanting to grow a giant pumpkin, go out and buy one NOW. It can take a while just to stand their and water the plants using this method, so if you are impatient this might not be the best option for you. There are different attachments you can put on the end, standard nozzle, watering wand. The stronger the stream of water, the more chance of damaged or broken leaves, so be careful. While this might seem like a low-tech approach it allows you to direct the water to where it is needed, without the leaves getting too wet, and can also reduce the amount of water weeds might get. Another good thing about a watering can is that you know how much water in total you have applied to your garden. The disadvantage with this is that it can take a lot of time to water your giant pumpkins, just depends on if you have the patience for this method or not. These are quick, easy to use and if left on long enough they will put out enough water. If you are going to use these as your watering method, making sure you don’t water in the evenings as the warm humid temperature of the night and the moisture on the leaves can lead to the plant getting a disease, which could slow growth, or worse case scenario kill the plant. So watering in the morning, or early afternoon is the best times. Also remember to use sprinklers that deliver a soft spray, which will reduce the chance of damaging the leaves. These are a good idea, but need forward planning to have everything set up before the pumpkins are planted. Depending on the type of hose being used, these can be hooked up to a normal garden hose for supply of water, or even hooked up to a small tank, where added fertiliser can be added to the water. There are a few options for how you install the hoses, you can either bury them in the garden in circles or ovals, or have them fully buried in the ground. Having them supply the main vine with water is a good idea. Having them just below the surface will allow the plant to get a lot of the water it needs. You can also place the hose on the surface of the soil, with the holes pointing downwards and then covering the hose and vine with soil or mulch. There are a lot of options in regards to micro-irrigation with a variety of sprinkler heads available with the option of having droppers from above or have water from below. Make sure to check out what is available and what fits both your budget and plan.